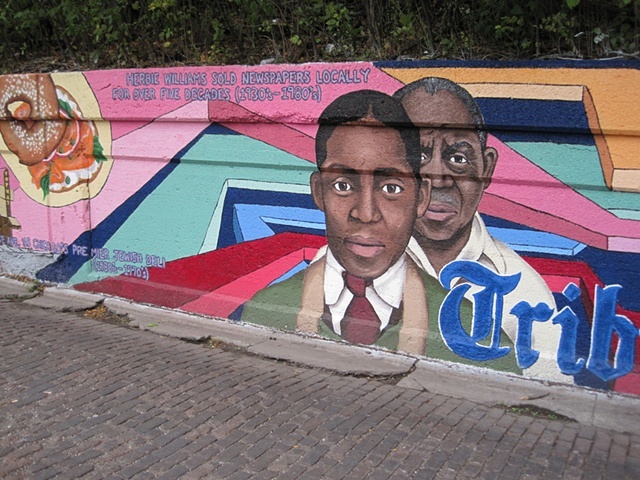 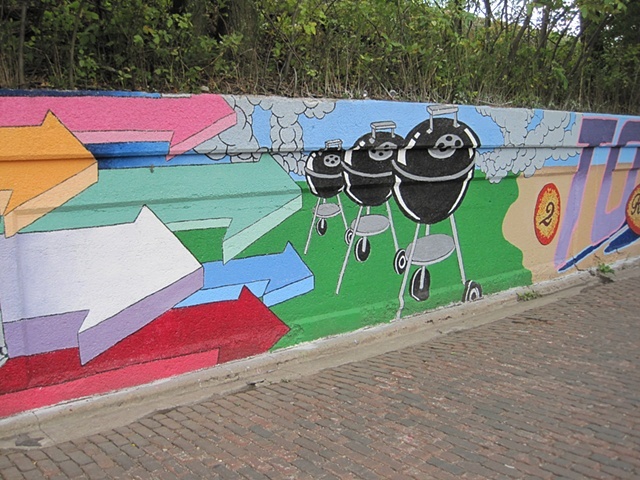 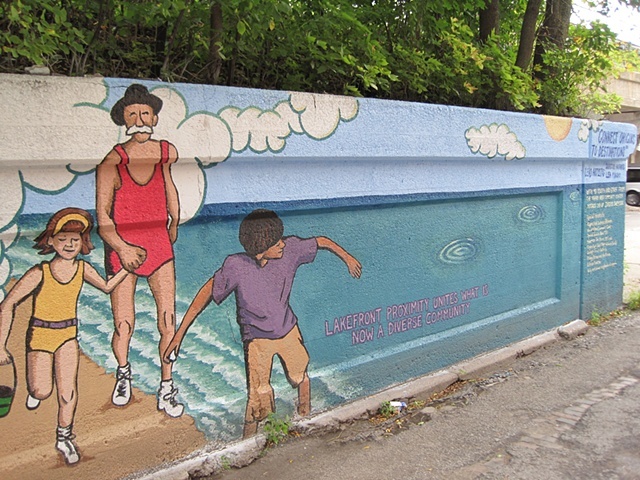 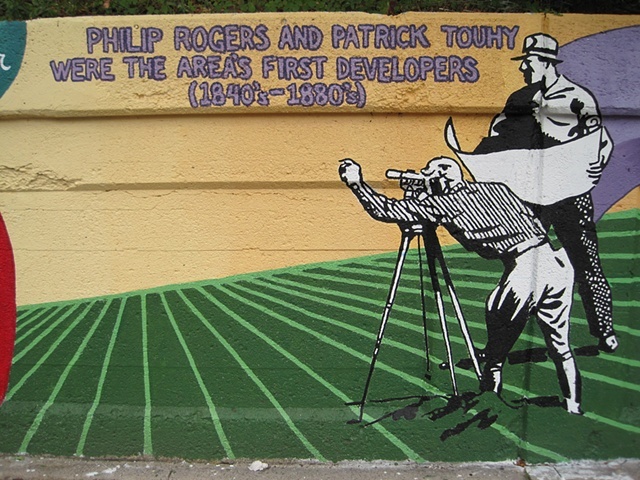 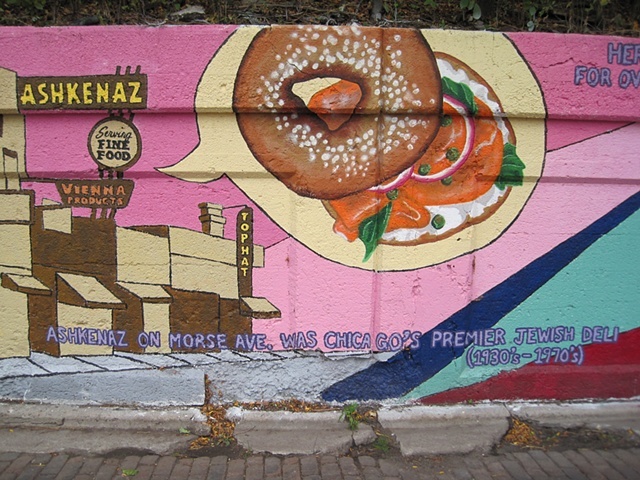 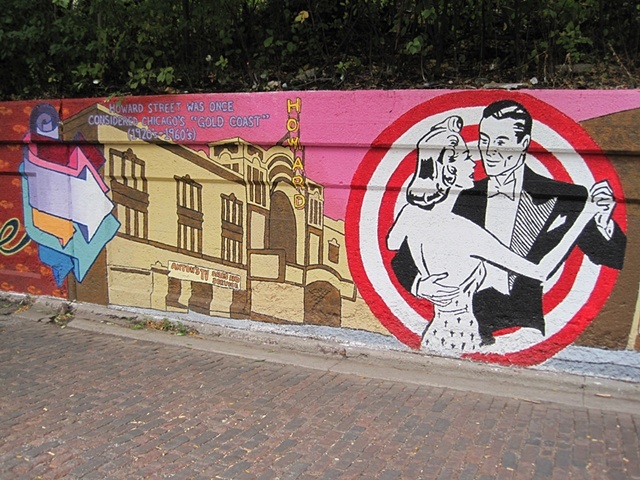 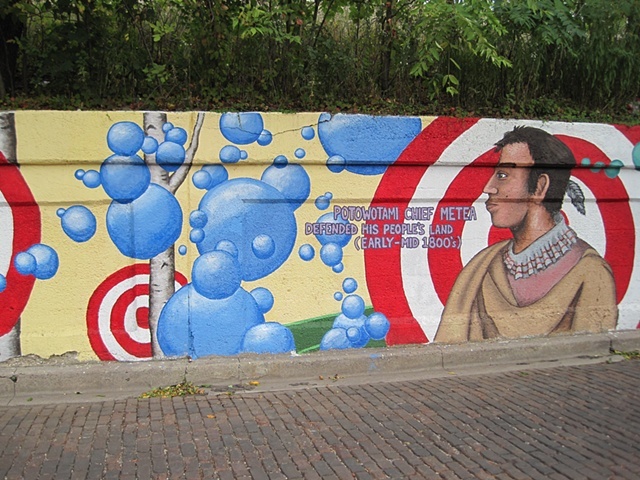 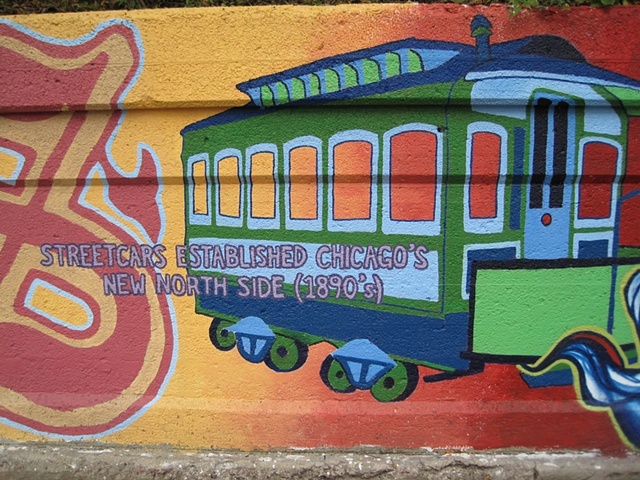 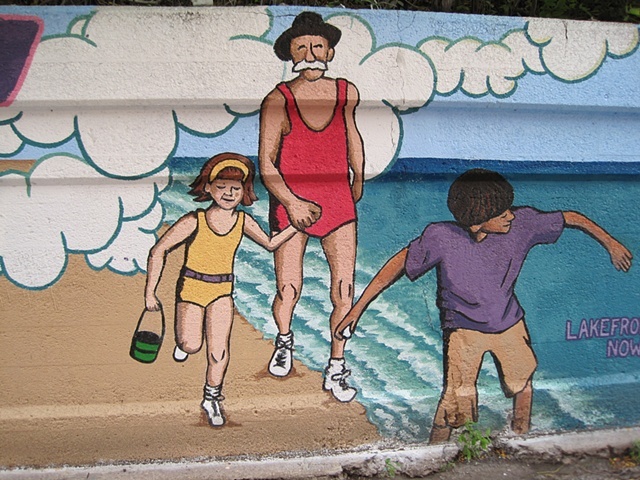 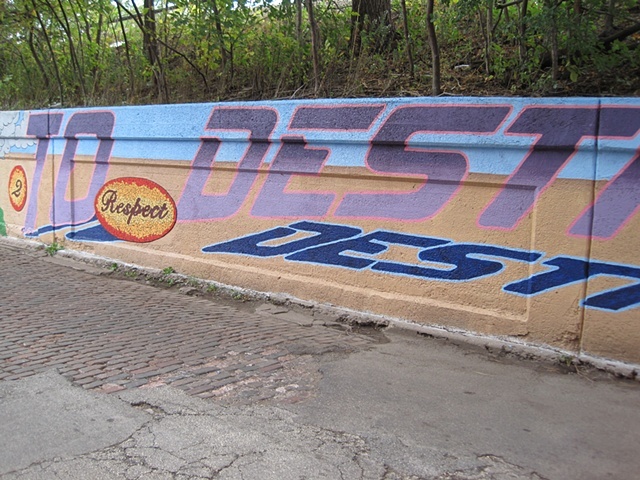 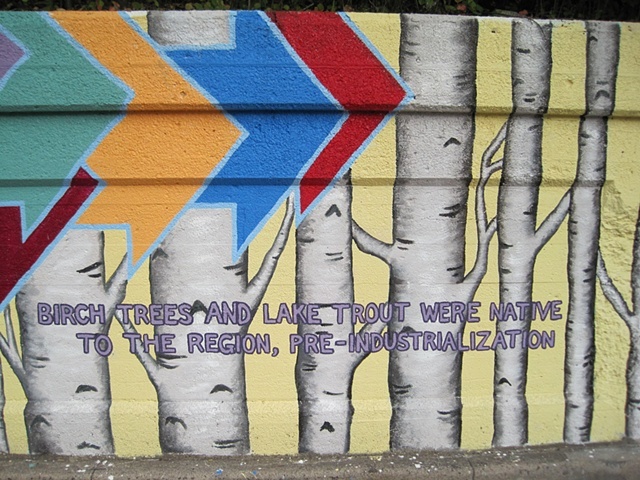 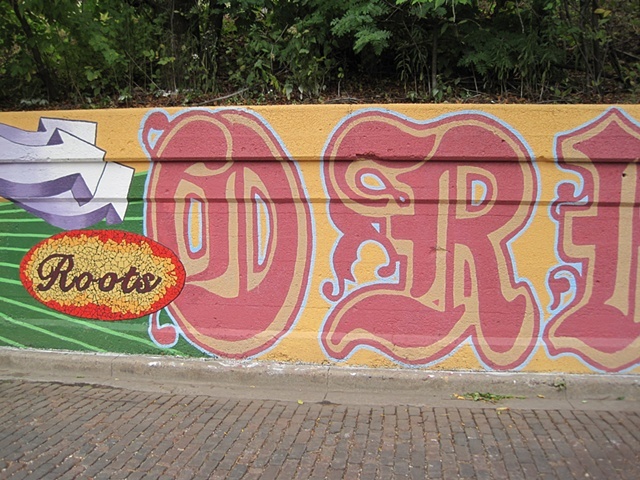 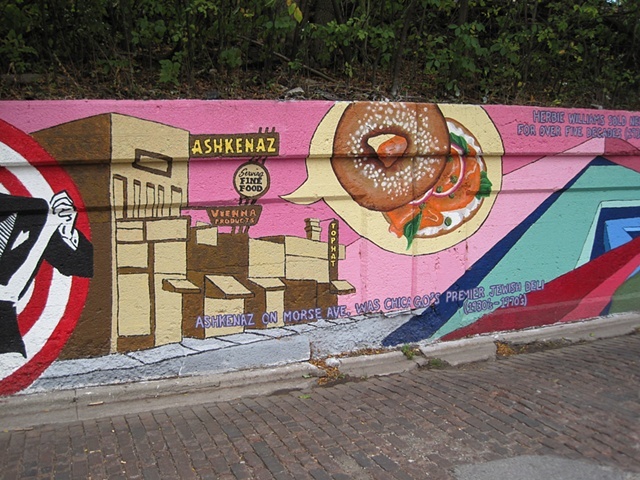 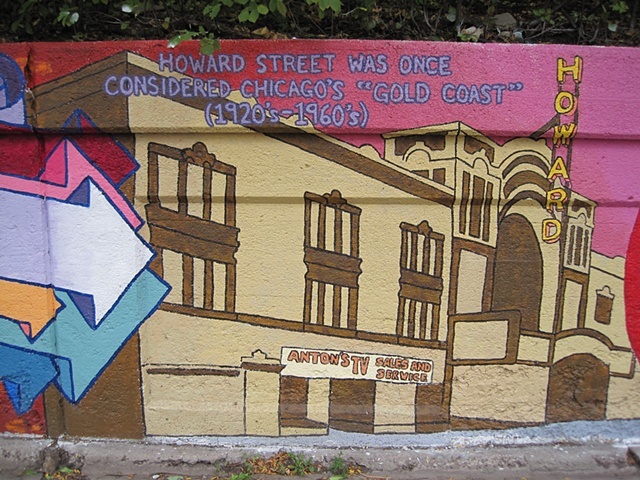 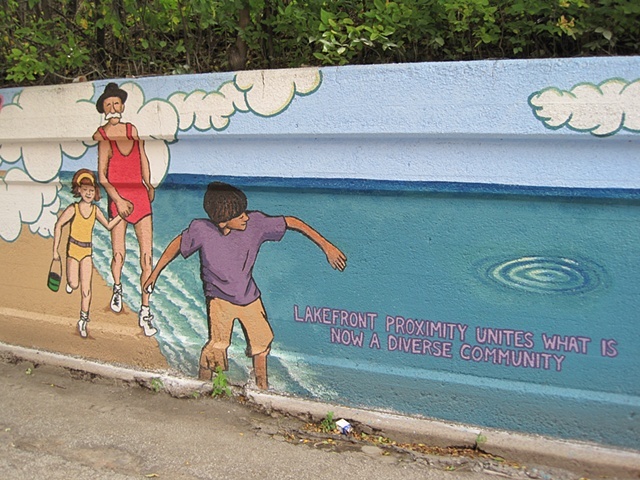 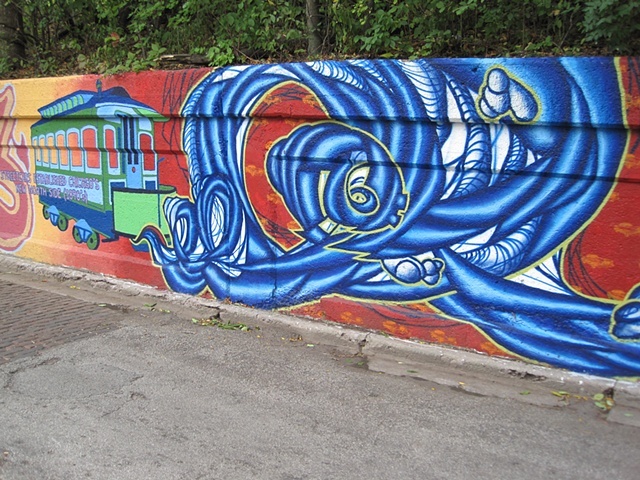 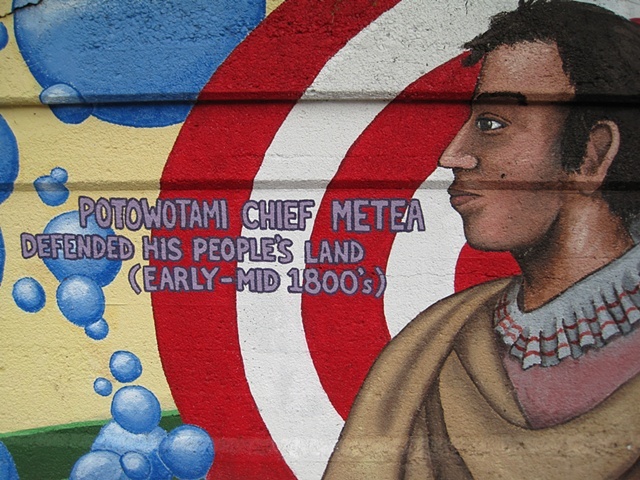 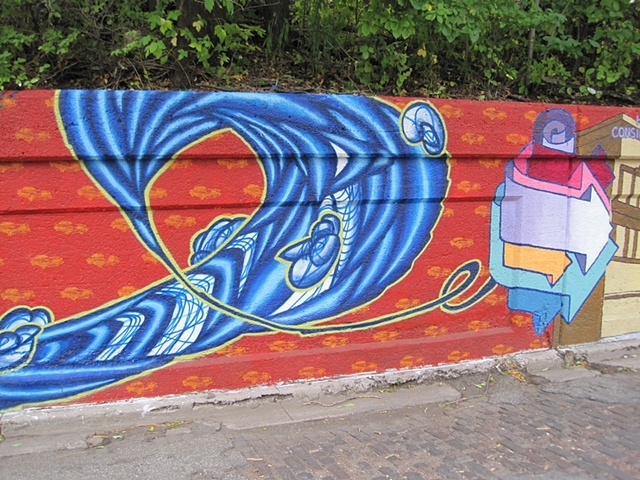 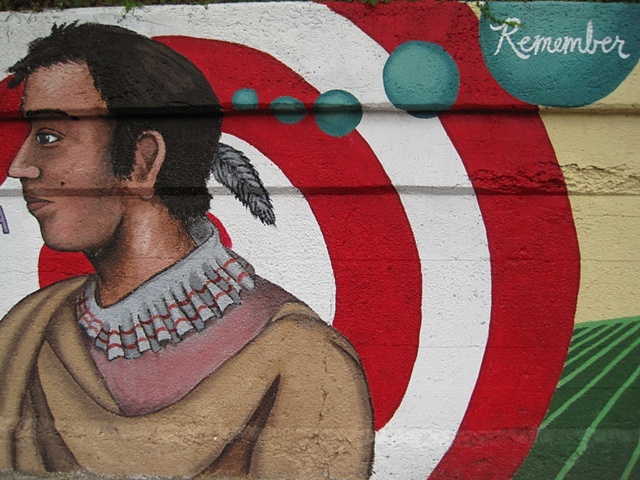 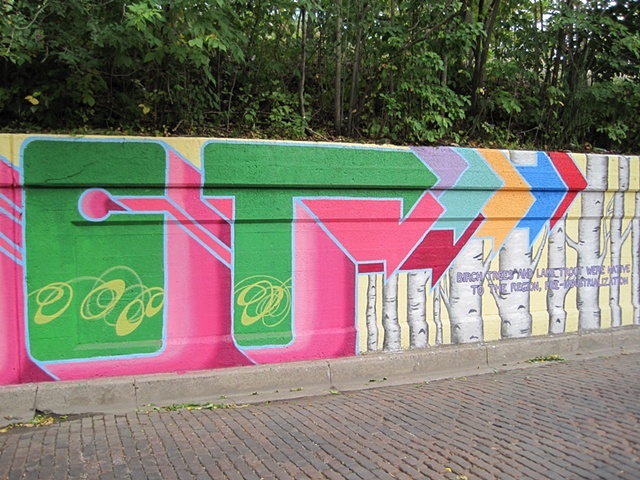 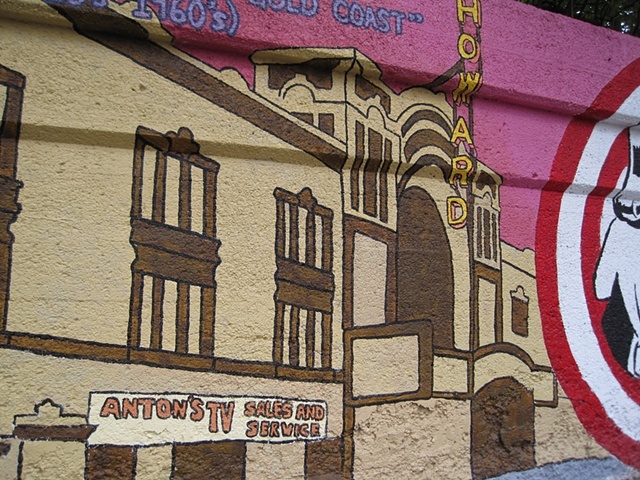 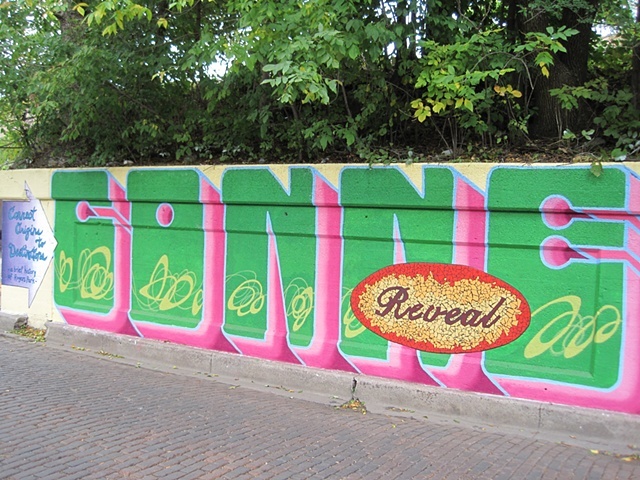 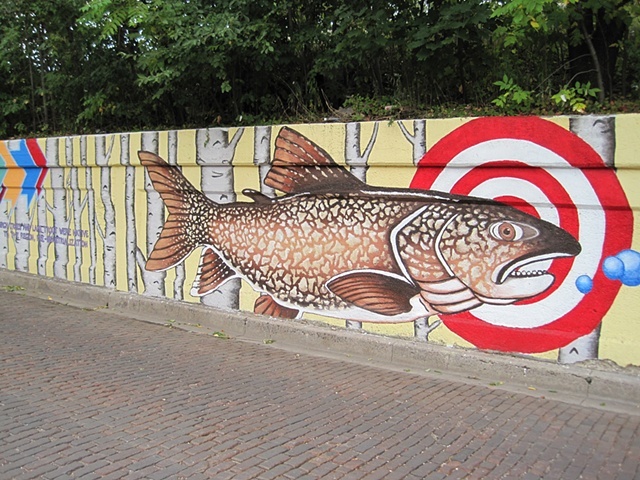 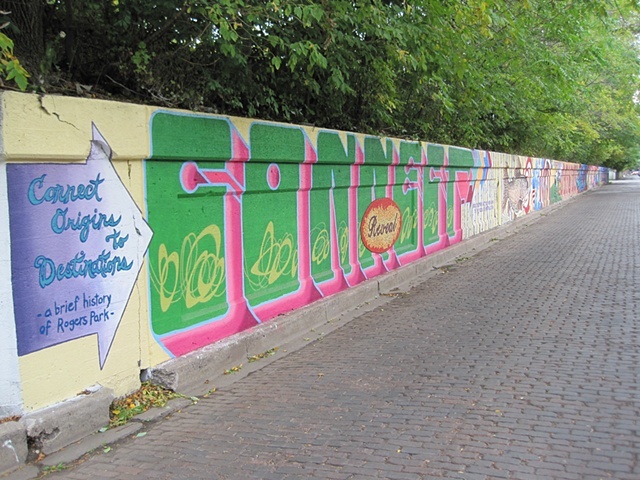 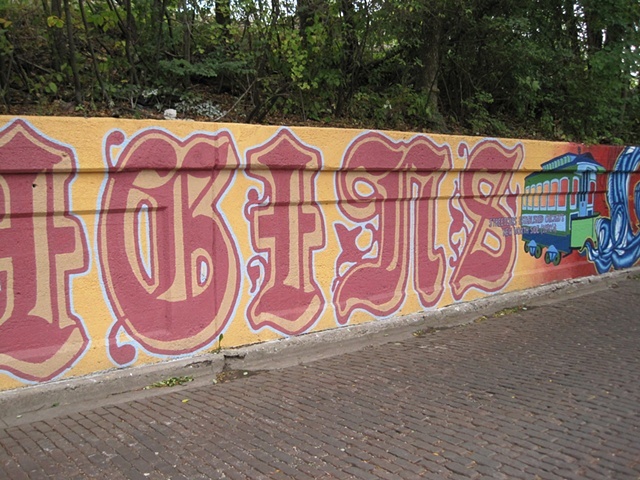 In summer 2009, we led a large community mural project in Rogers Park, Chicago, along a full city block CTA train wall. 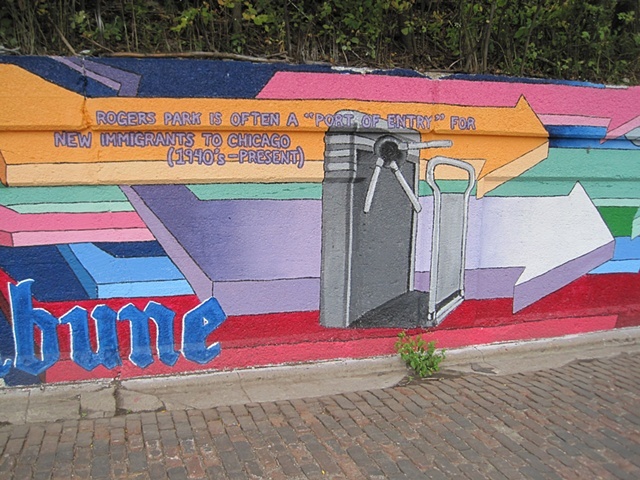 This 2300 sq foot wall took 2 months to paint, and was done in partnership with 80 youth from the Howard Area Community Center's summer program. 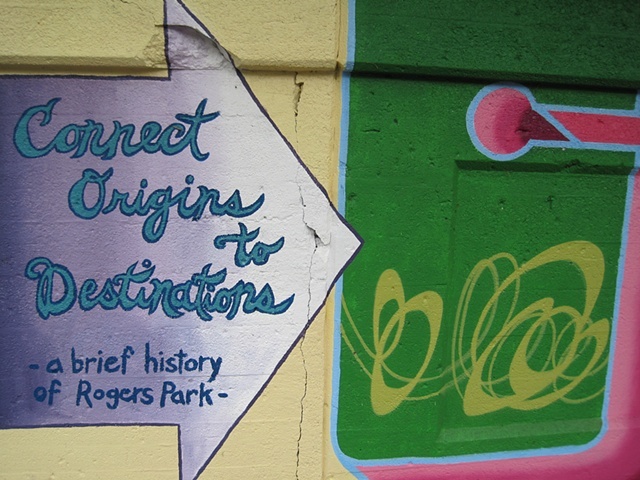 Our theme was Rogers Park history, starting from pre-industrialization to present day. 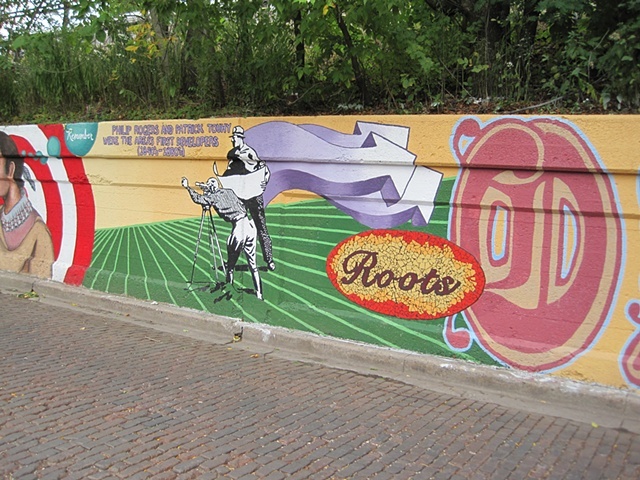 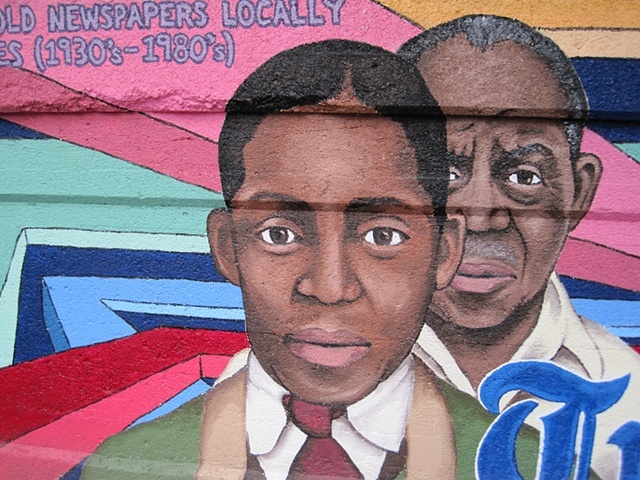 The mural honors and celebrates the richness of the area's culture and the diversity of its current community.